To their deeds - not the shade of their skin." Today, the nation celebrates the life of Dr. Martin Luther King, Jr., for his dedication to fighting injustice through militant, non-violent action, modeled on that of Mahatma Gandhi. 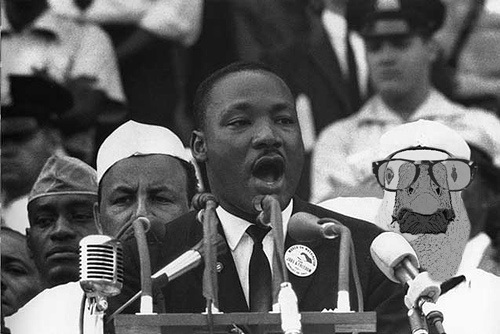 In the midst of a brutally enforced racial segregation, Dr. King electrified millions with his speech at the 1963 March on Washington, in which he declared: "I have a dream that my four little children will one day live in a nation where they will not be judged by the color of their skin, but by the content of their character." The "I Have A Dream" speech is well worth reading (or better yet, viewing) in its entirety. Dr. King's is a legacy of which every American can be proud. Happy Birthday, Dr. King, from Dr. 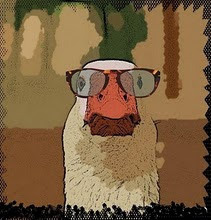 Goose!